Over the past few years, if you owned a co-op, pretty much the only way you could tap into the equity of your apartment and extract some cash was by refinancing your entire mortgage. When interest rates were dropping, it was a smart move. You could often refinance into a lower-interest rate loan and take cash out without changing your monthly mortgage payments. But with rates inching back up, taking cash out when you refinance means your monthly payments will be higher—on top of the $2,000 to $3,000 it costs to refinance. 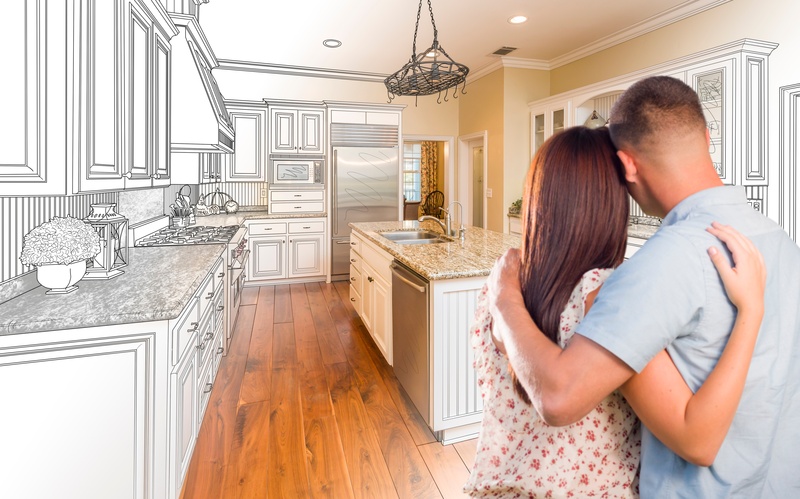 With refinancing less attractive and home values surging, the home equity line of credit (HELOC) or home equity loan( HELOAN) are options to help fund renovations or remodels for your home. What's the difference between a HELOC and a HELOAN? A Home Equity Loan- lets you borrow a fixed amount, secured by the equity in your home, and receive your money in one lump sum. A Home Equity Line of Credit is a revolving credit that allows you to borrow money as you need it and pay it back over time, with your home as collateral. Interest rates for HELOCs are set at a certain percentage above the prime rate. Unlike a fixed-rate mortgage, your rate can fluctuate over time, but it will never be more than 1 or 2 percent above the prime rate, depending on the terms of your lender. Most lenders will allow you to borrow up to 80 percent of your apartment’s appraised value. For example, if your place is worth $1 million and you have an existing $500,000 mortgage, you’ll be able to finance an additional $300,000, bringing your total debt to $800,000. While some co-ops may not allow HELOCs, most give the green light and don’t even ask what the money is for. However, occasionally, a co-op building may limit the amount you can borrow to 50 percent of your apartment’s appraised value. Learn more about how a HELOC or a HELOAN from NCB can help you.